RESCHEDULED DUE TO ELECTION DAY! See you this coming Thursday! 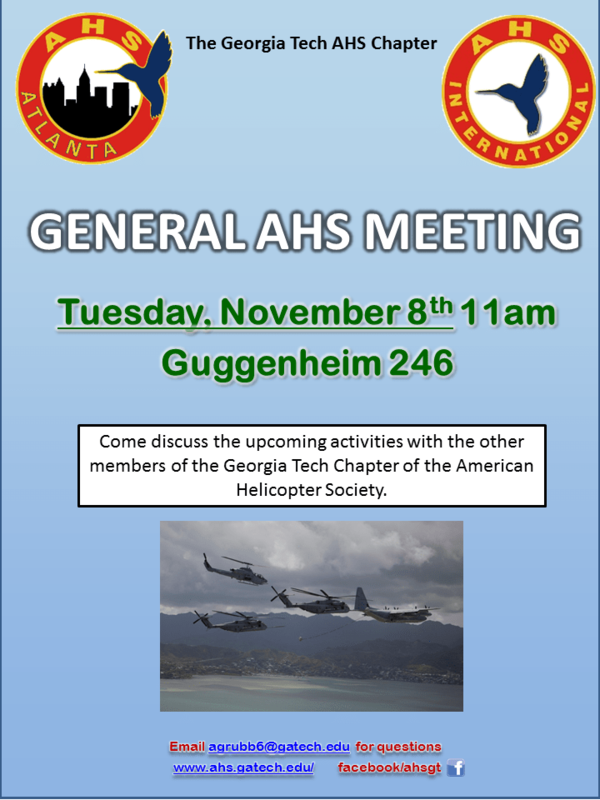 Come discuss the upcoming activities with the other members of the Georgia Tech Chapter of the American Helicopter Society. The meeting will be held in Guggenheim 246 on Tuesday, November 8th THURSDAY Novemeber 10th at 11am. See you there!